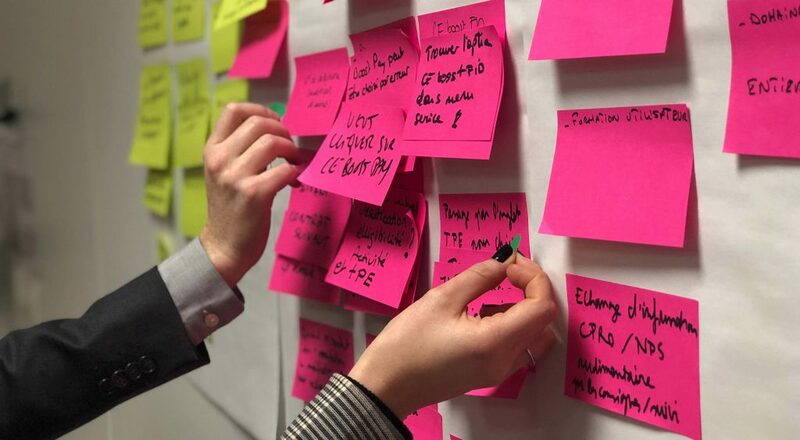 I’m a big believer in not reinventing the wheel when it comes to web design. 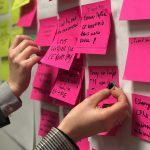 If someone has already created something that fits what you need and/or want, and especially if that element is available for free, then why waste your time designing something that turns out virtually identical? 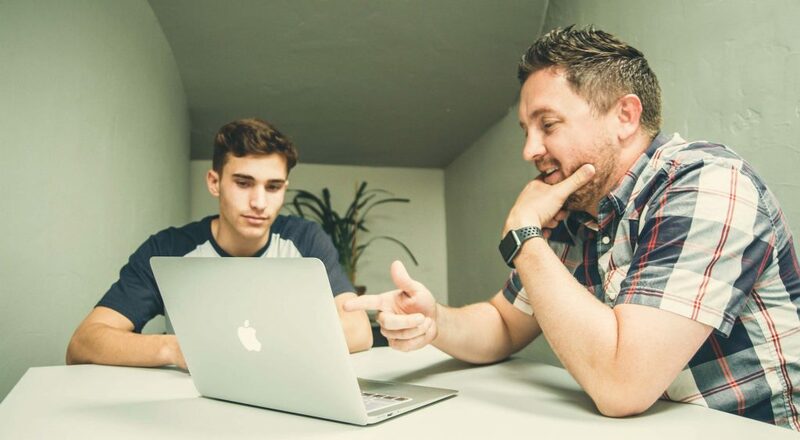 Your time and effort is better spent on creating new and unique parts of your design, while using what’s already available for other parts. 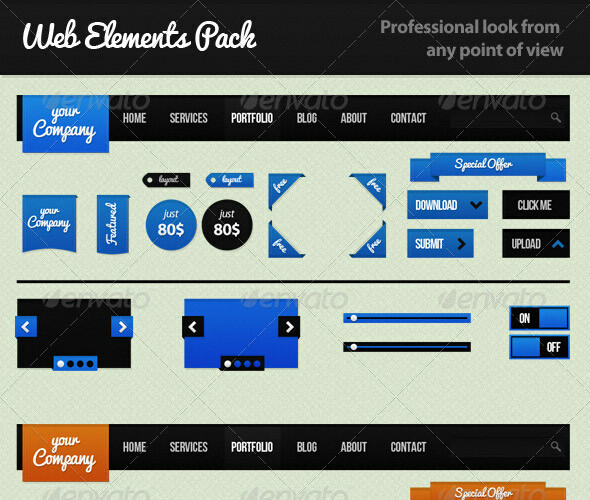 Below are more than 50 free UI element packs from a variety of designers. 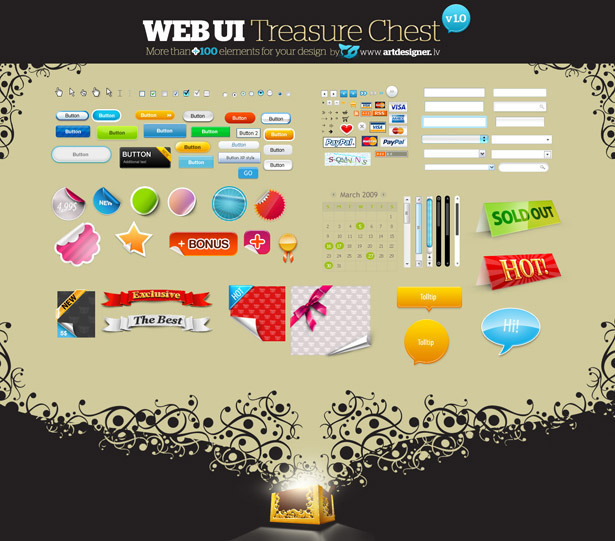 Buttons, form elements, media players, and similar stock elements are the most popular, though there are other elements included also. And as a bonus, there are over half a dozen premium element packs at the end. Enjoy! 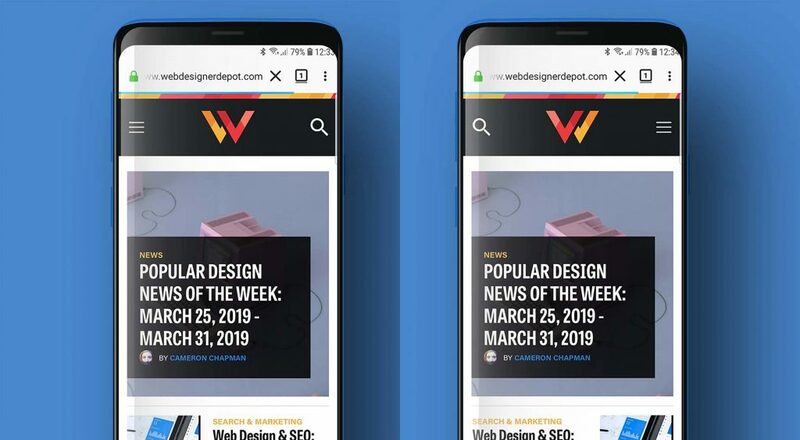 A set of common web elements for mockups, designed by Adrian Pelletier and provided by Six Revisions. 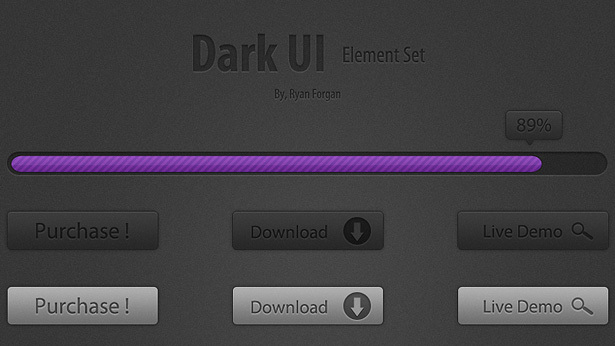 This set of dark UI elements was created by PixelsDaily, and is also provided by Six Revisions. A modern, minimalist UI kit with some simple, basic elements. 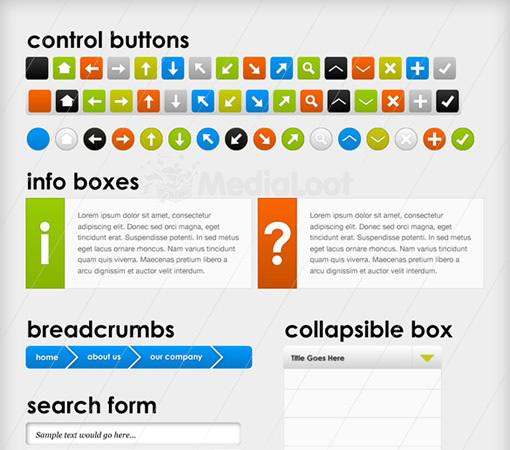 This web UI kit from MediaLoot includes brightly-colored buttons, info boxes, breadcrumbs, search forms, and many other elements. 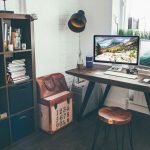 This kit includes over 100 elements for your designs, including banners, buttons, tooltips, badges, and more. 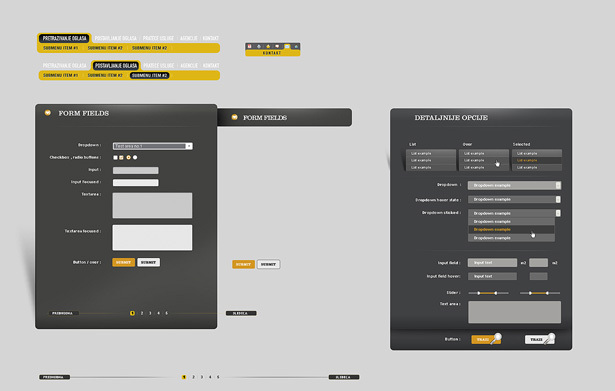 A set of gray and gold web form elements, including text areas, buttons, and dropdowns. 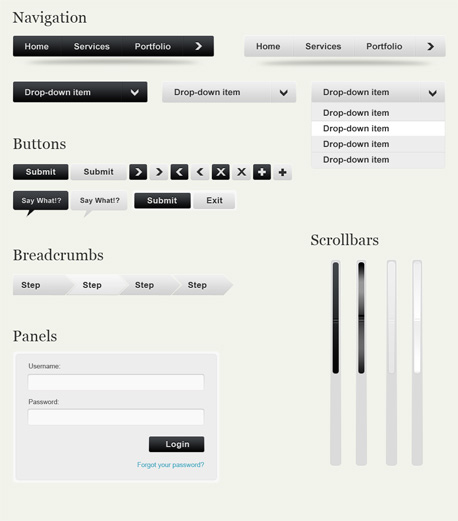 A set of gray web form elements, including sliders, dropdowns, tabs, and more. 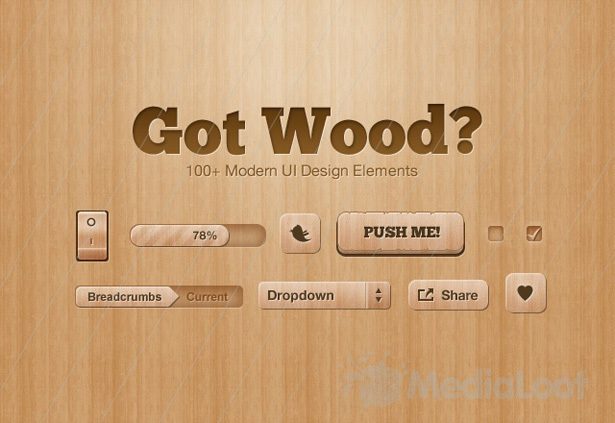 A kit consisting of more than 100 modern UI elements with a wood-grain look. 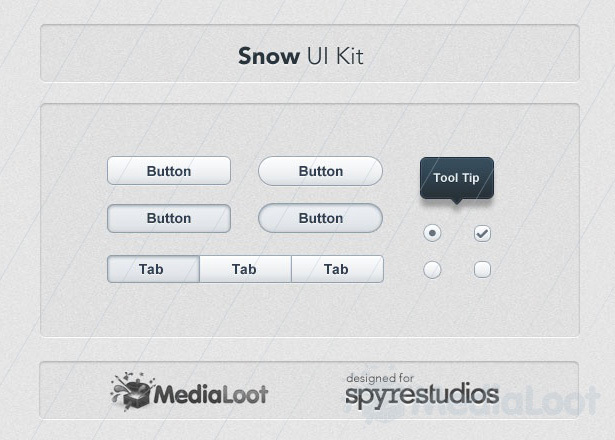 This UI kit from MediaLoot has a muted gray color scheme with dark bluish-gray accents. 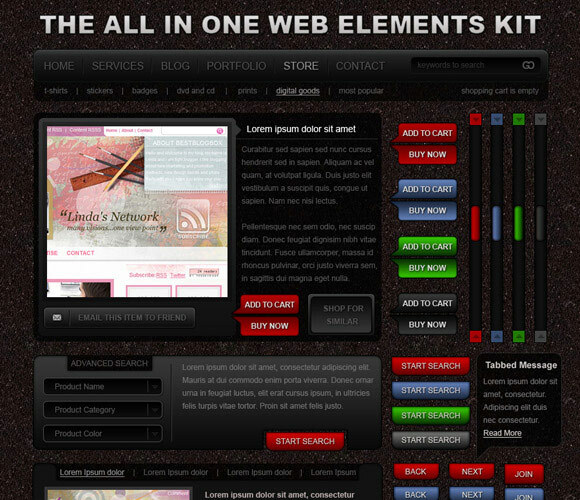 This set of design elements was designed specifically for use with dark and highly-styled sites. 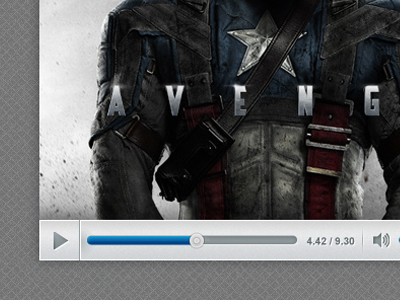 It includes search bars, separators, buttons, audio player elements, and more. 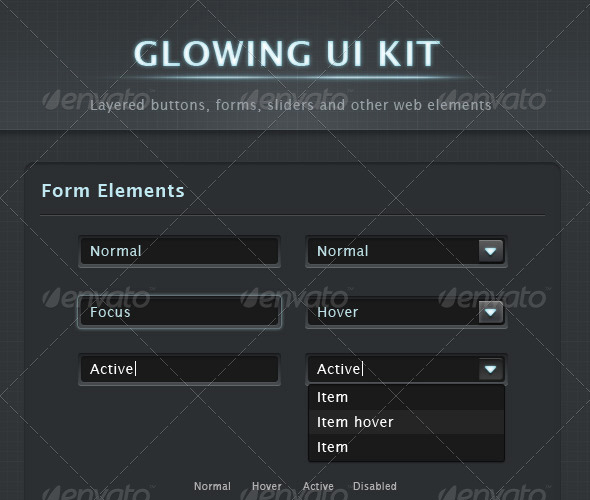 The Black UI Kit includes glossy, black and blue elements, including plenty of media controls. 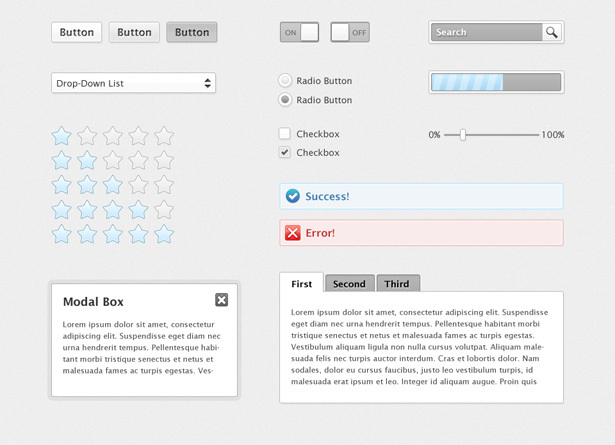 Moonify is a set of UI elements that includes a search bar, rating stars, and some basic form elements. 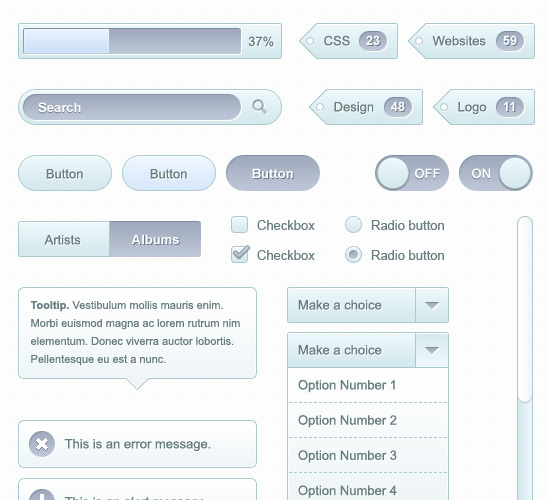 A set of soft blue and white UI elements, including form inputs and buttons. 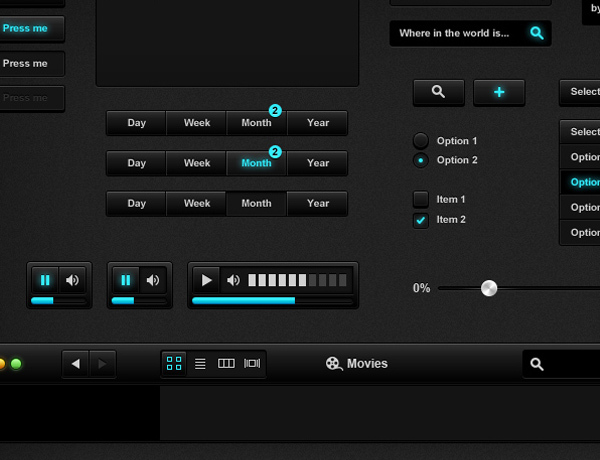 A set of glossy black and bright blue UI elements, including sliders, buttons, dropdowns, and text inputs. 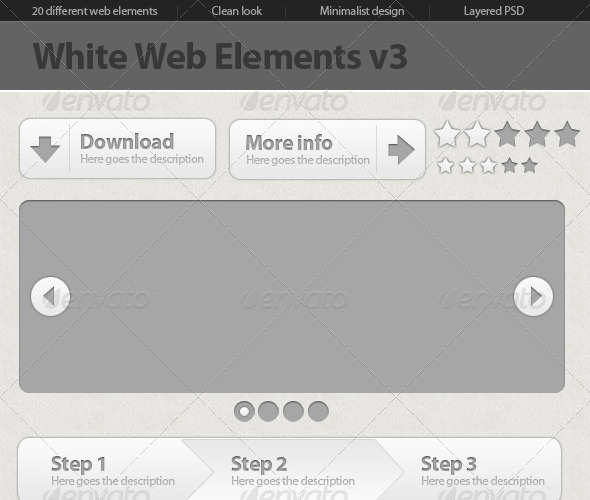 Grayness is a set of form UI elements in light gray. 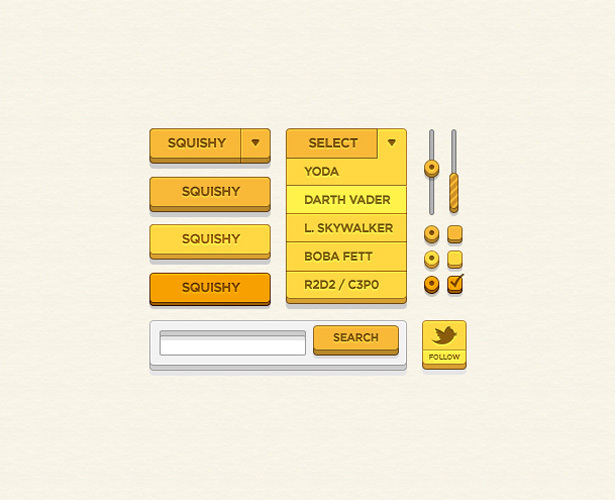 The Solid UI Kit has a retro sci-fi look to it, with a yellow-gold color scheme. 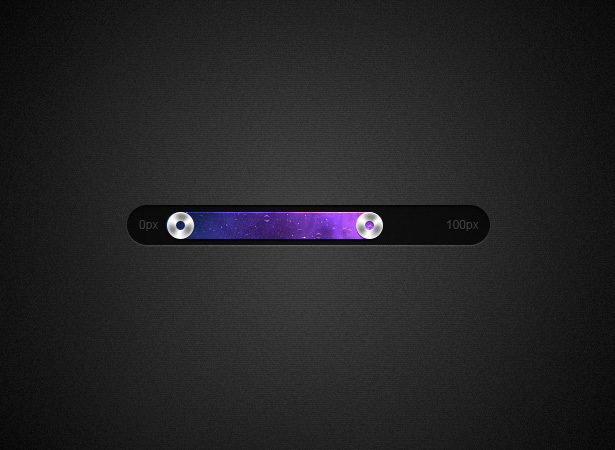 A set of dark, slightly glossy buttons and UI elements with a purple loading bar. 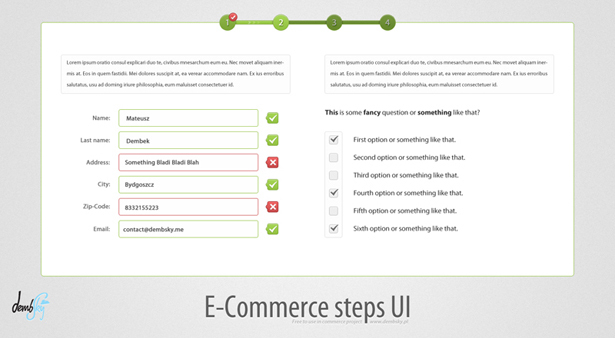 The elements here are designed specifically as the second step of an e-commerce checkout process. A set of UI elements inspired by Chinese calligraphy techniques. A set of brownish-gray form elements with an antique but clean feel to them. 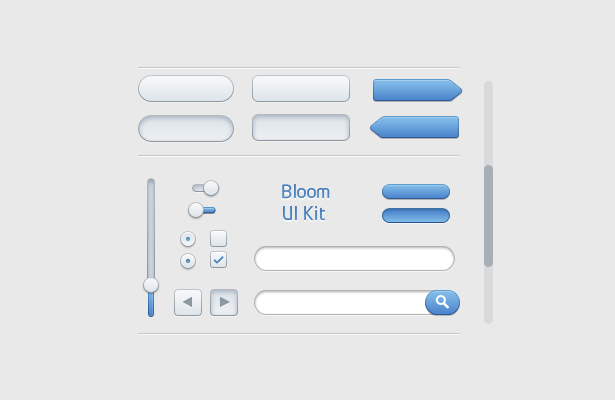 The Bloom UI Kit includes buttons, form inputs, sliders, and more. 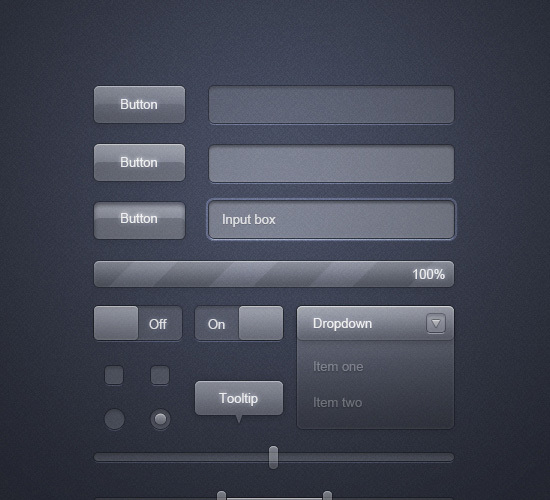 A set of Apple-inspired elements, including buttons and form inputs. 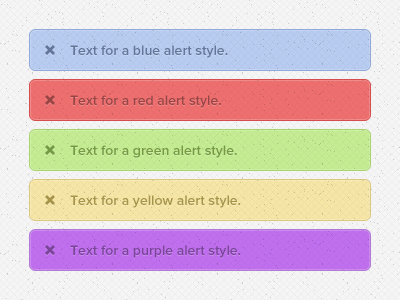 A set of transparent alert styles, with changeable colors and a removable texture overlay. 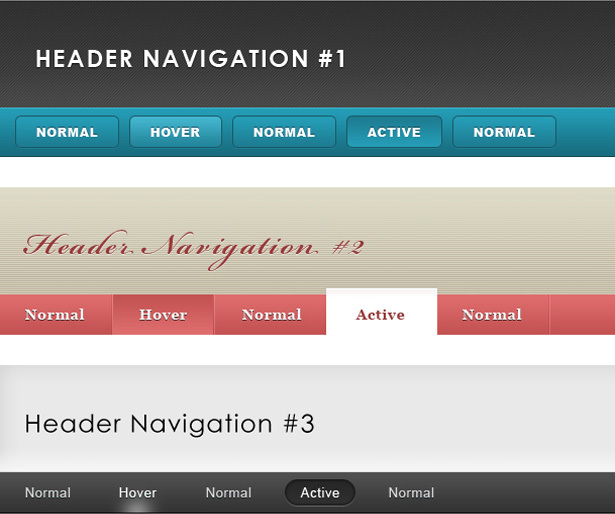 A set of three navigation/header styles. 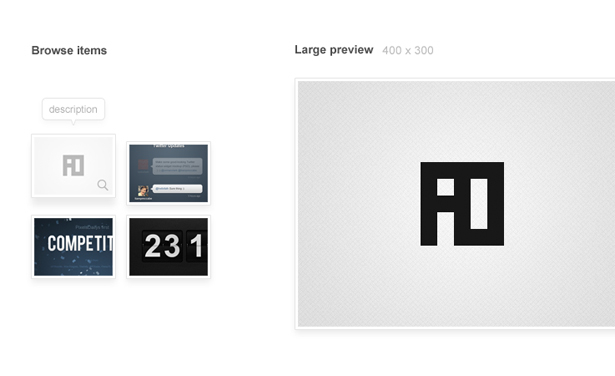 A set of versatile minimalist, rounded UI elements. 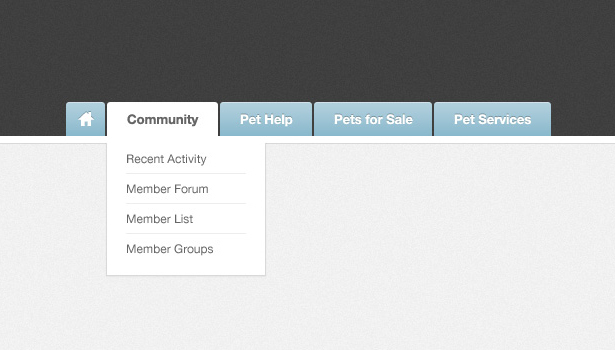 These Pretty Little Search Fields come in two styles (rounded and square), with three different color schemes. A set of add-to-cart buttons in three muted colors. 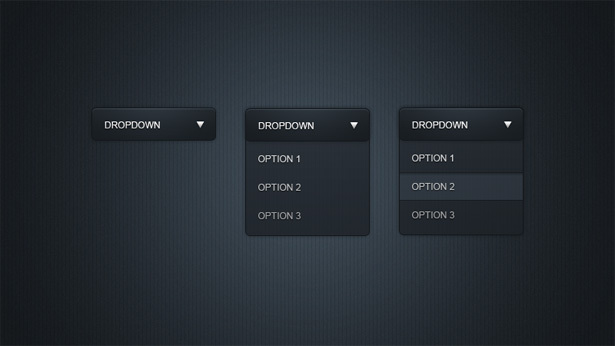 A PSD for simple tabbed navigation with dropdown menus. 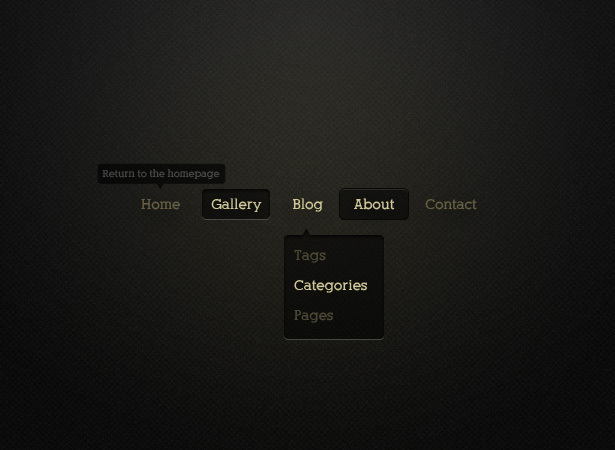 A set of dark navigation buttons for horizontal or vertical menus. 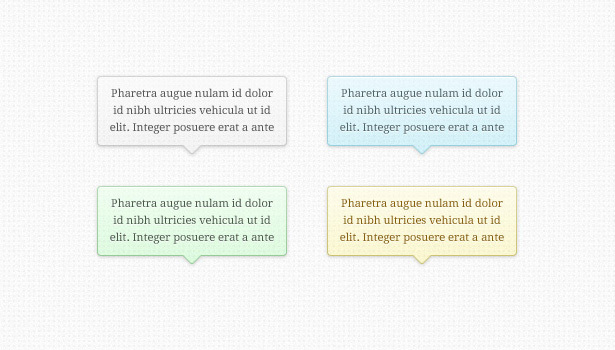 A set of transparency tooltips in four colors, from Premium Pixels. A set of retro sliders with chrome buttons and yellow accents. 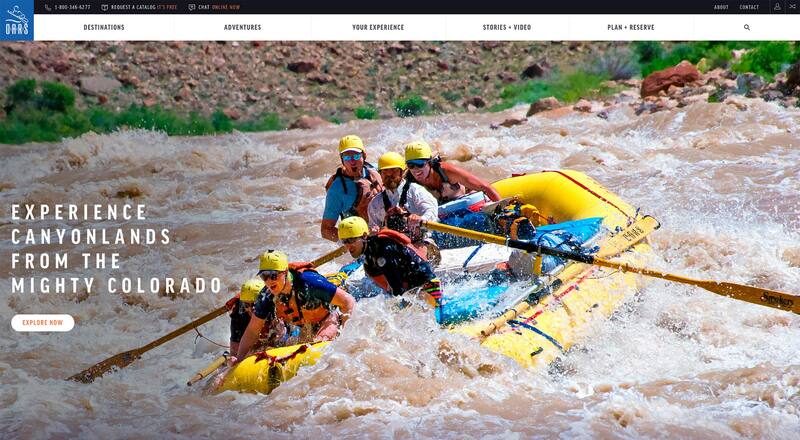 Simple navigation elements with subtle coloring and awesome state designs. A dark dropdown menu button. A gorgeous multi-colored slider with chrome ends. A simple blue and gray calendar widget PSD. 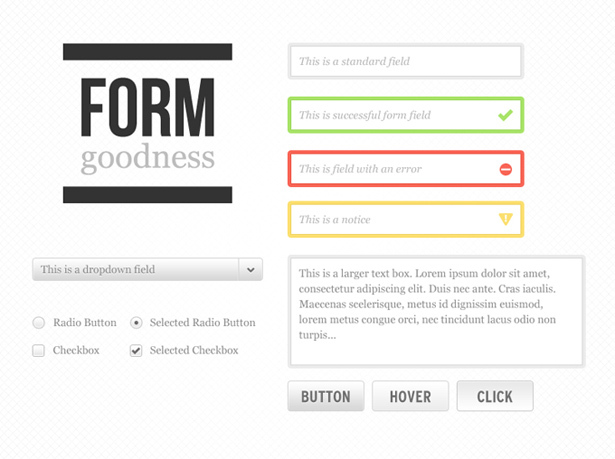 The Form Goodness Kit is a set of minimalist but bold form elements, including input fields and buttons. 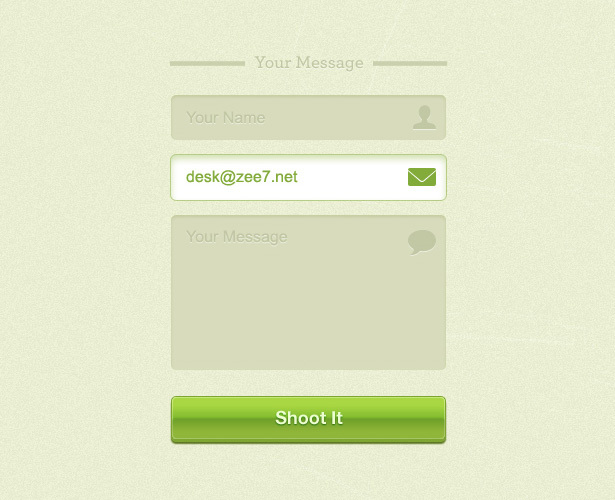 A simple, modern green contact form with icons and a submit button. 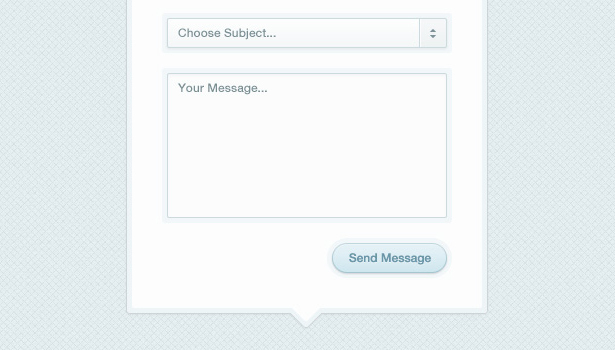 A minimalist modal box contact form. 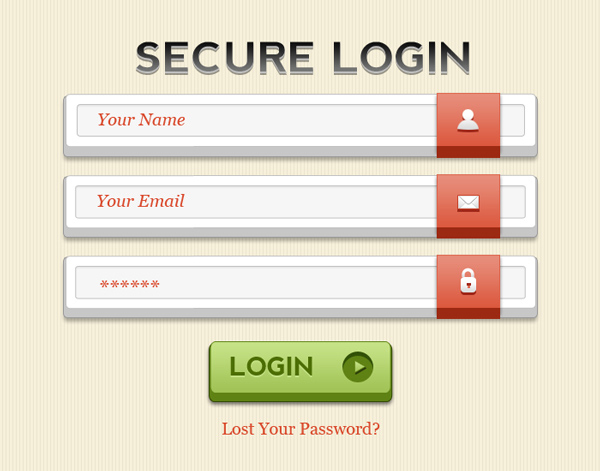 A highly-styled PSD login form. 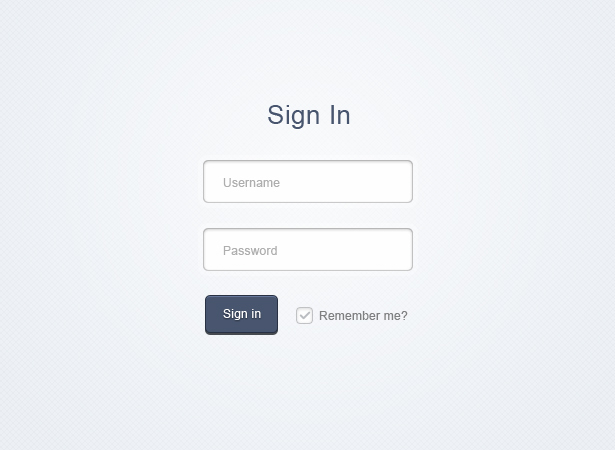 A short, minimalist sign-in form in blue and gray. 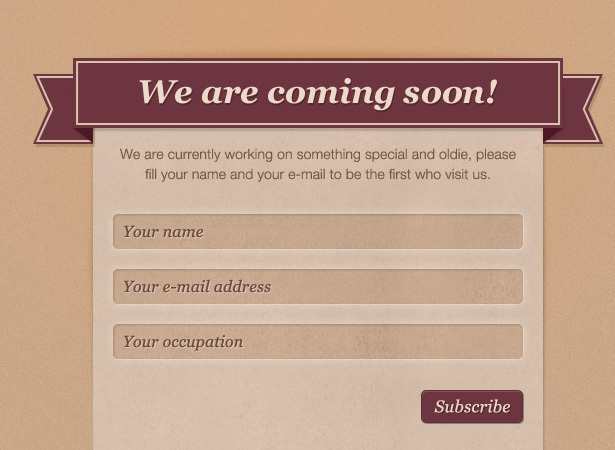 A vintage-styled newsletter signup form. 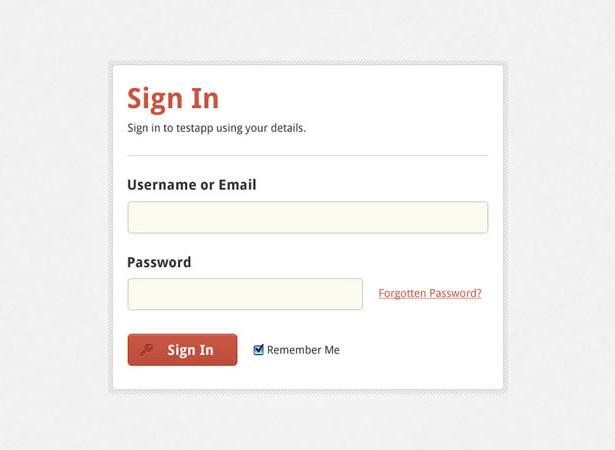 A minimalist login box in white and muted red. A huge collection of elements in dark gray, red, blue, and green, this kit includes buttons, sliders, and multiple content styles. 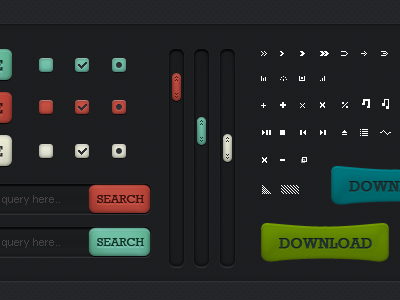 A set of retro-styled UI elements, including sliders and buttons. 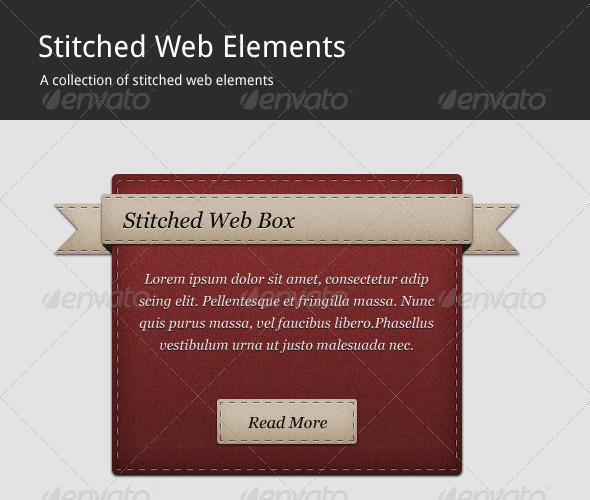 A set of PSD image gallery elements. 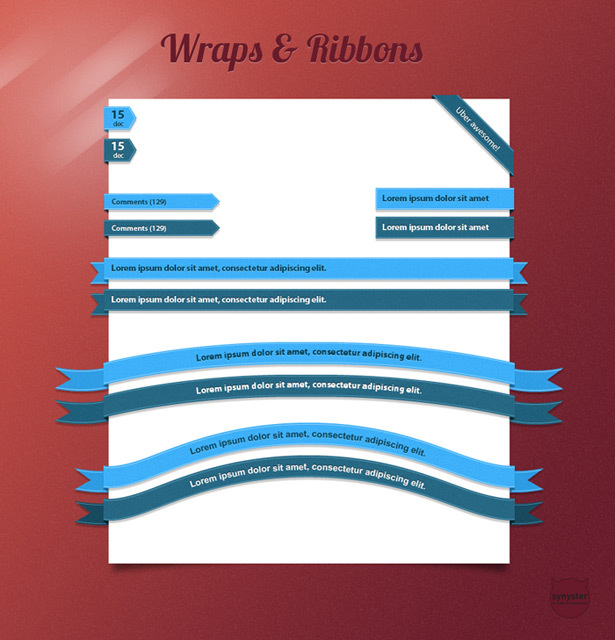 A set of ribbon and wrap effect PSD files. 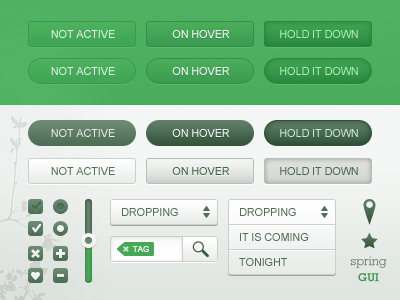 This pack includes search inputs, buttons, sliders, dropdowns, and more. 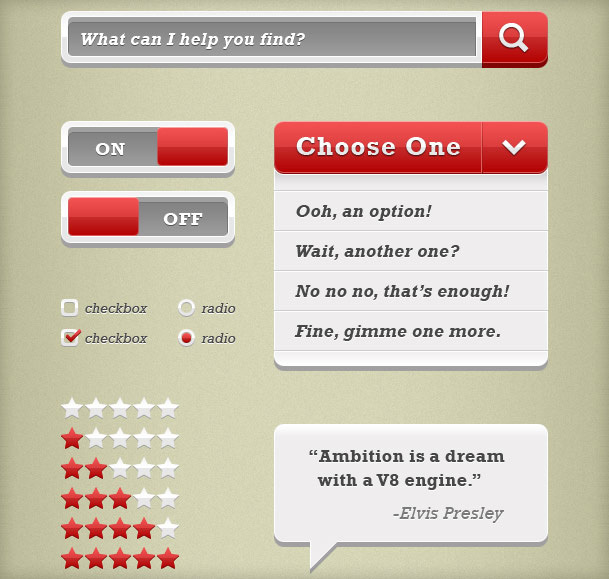 The Big Block UI includes a number of bold elements, including a search box, sliders, rating stars, and a dropdown button. 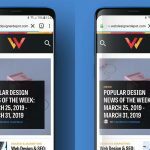 This set of black and gray, slightly glossy UI elements includes navigation, buttons, scrollbars, panels, and breadcrumbs. 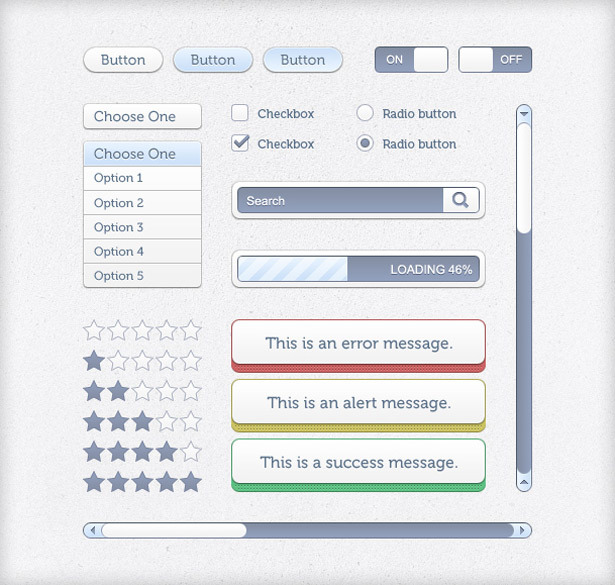 A set of light gray elements, including buttons, media player controls, and breadcrumbs, with various colorful accents. 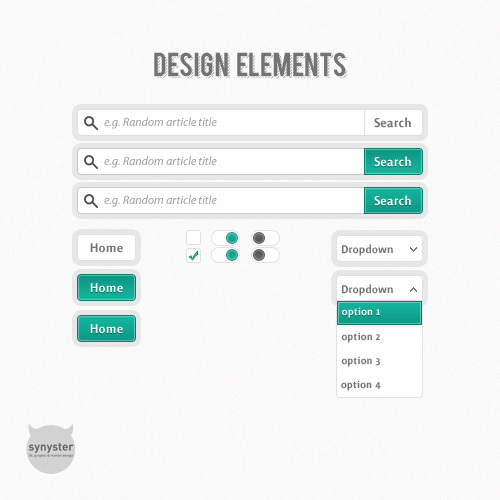 A set of green elements, including buttons and dropdowns, among others. 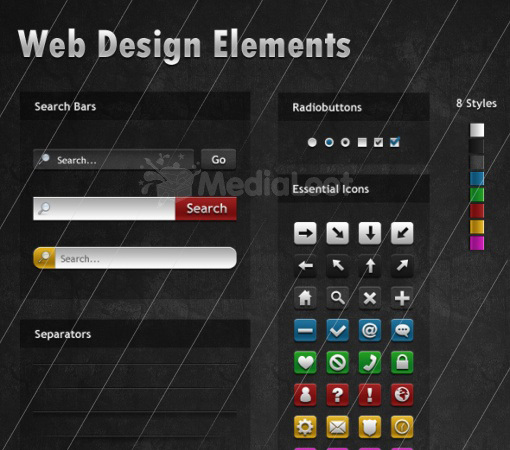 A set of dark, multi-colored elements, that includes scrollbars, search fields, download buttons, and more. 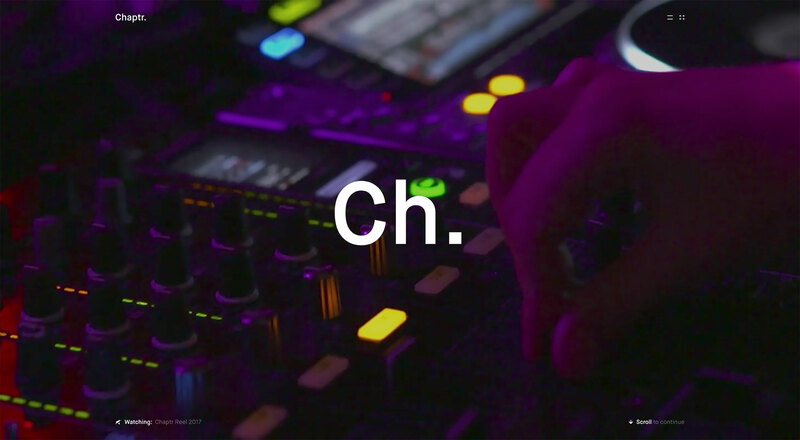 A slick video player chrome. 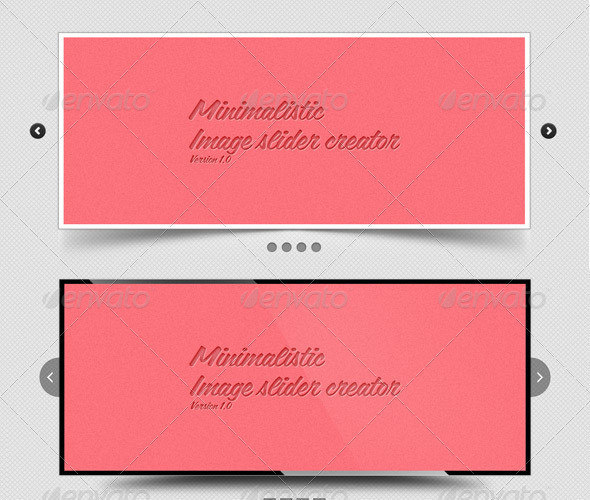 A set of brightly colored UI elements, including sliders, switchers, buttons, and more. 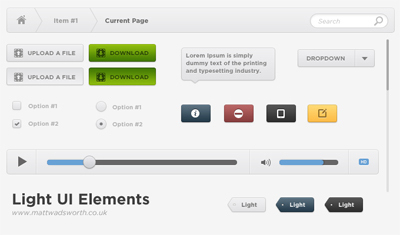 A set of glowing UI elements, including form elements, separators, buttons, and more. 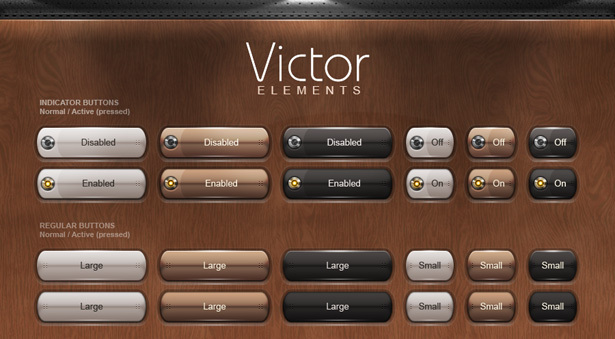 Contains more than 70 elements for creating sliders, including shadows, frames, vignettes, and more. 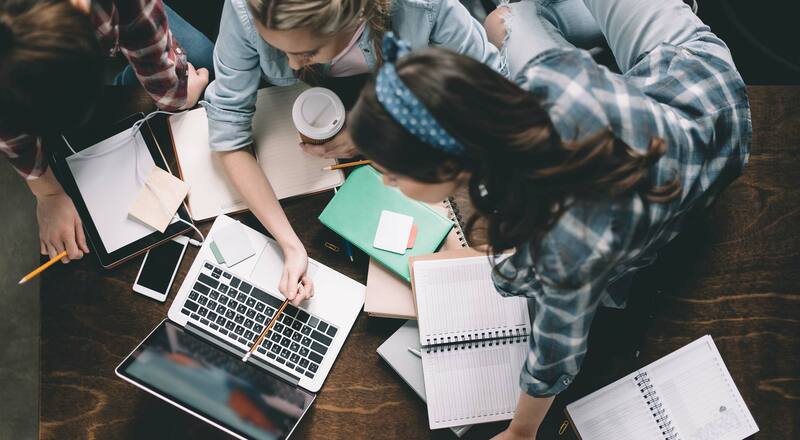 Set includes a login box, subscription box, download button, and more, and comes in four different colors. 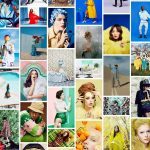 A set of retro-styled elements with subtle color schemes that include bright blue and orange highlights. 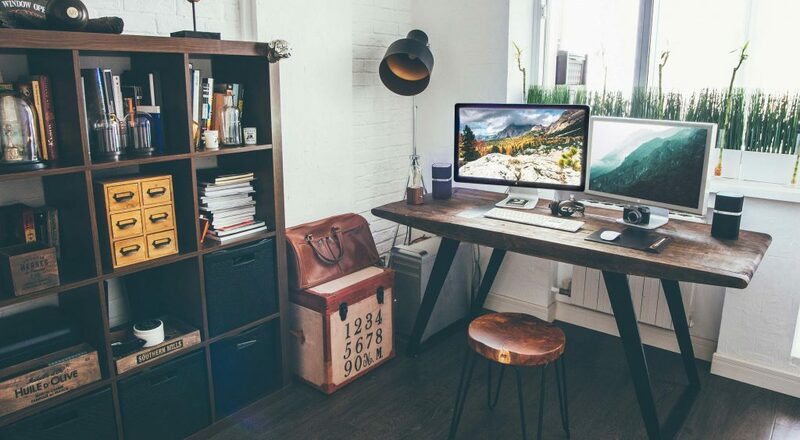 A set of white and light gray elements that are clean and fresh. 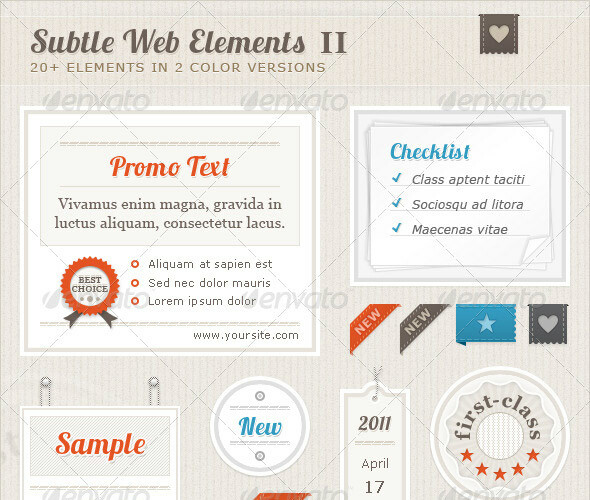 A set of elements that includes banners, media elements, navigation, buttons, and badges, in five color schemes. 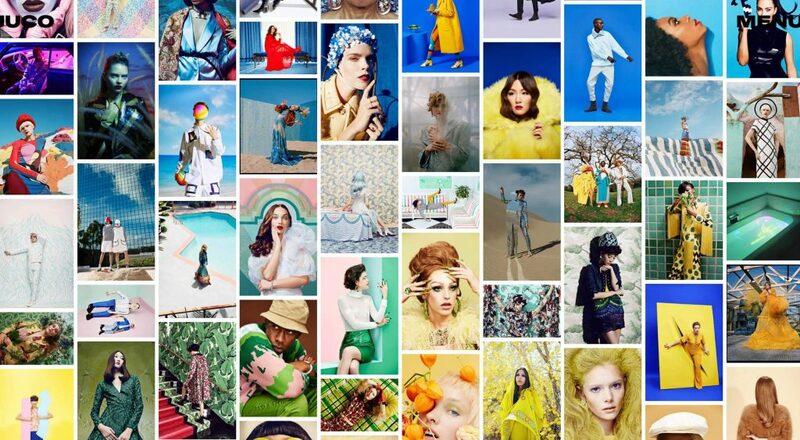 What’s your favorite site for finding PSD files for your designs? Let us know in the comments!